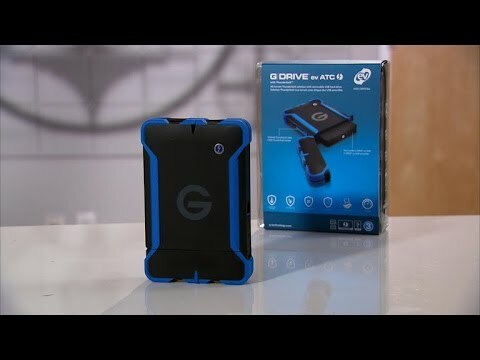 Product Overview The G-Technology 1TB ev ATC with USB 3.0 is a robust portable hard drive solution. Ideal for working in the field in extreme conditions because of the ATC case (All Terrain Case) which is watertight and further protects the drive from pressure, shock and dust. 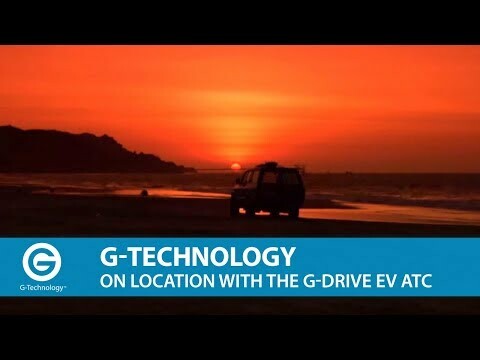 The ev Drive inside is approximately 35% lighter than the standard G-Drive ev. The ATC floats in water! 1. 2 meter drop on a carpeted concrete floor (with G-DRIVE® ev RaW inside). 2. Approximately 35% lighter than the G-DRIVE ev. 3. Floats in water and should it be dropped into a pool of water up to 1ft for 30 secs, your drive is protected.